Pencildancers: Bound by Guilt by C. J. Darlington blog tour! 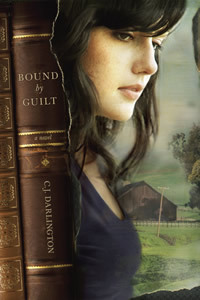 Bound by Guilt by C. J. Darlington blog tour! I reviewed the advanced copy of this book earlier and now it's time for the blog tour. This time you get to watch the exciting trailer, too. I like that while this book is by a Christian author with a Christian publisher you could easily hand it over to a non-Christian. The values and scriptures are there but written so much in the characters personality it doesn’t feel like the author is trying to save, or preach to anyone. Thank you for reading and reviewing Bound by Guilt! It's much appreciated.